This place sure floats my boat | Where to next? Don’t miss Fisherman’s Wharf in Victoria on Vancouver Island. We almost did because there aren’t many obvious signs pointing to the area—in fact, we saw signs only after we’d been there. But we were lucky enough to have had dinner with Elyse, a fellow traveller in Africa in 2009. She said the wharf was fun to see and a perfect place for lunch. So after spending the morning exploring the Royal British Columbia Museum, we took a break and got our hands stamped so we could get back in. Then we headed straight past the ferries and kept walking along the shore for about 20 minutes. Oh wow, then we came upon it—the Float Home Village! 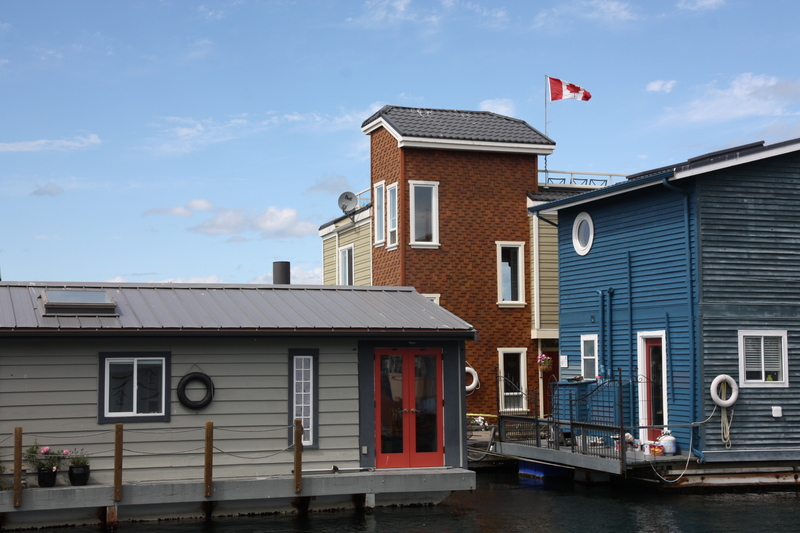 Float homes you ask? They look exactly like a houseboat. The difference is they don’t have a motor. But they still have a lot going for them—for starters they are colourful, welcoming, unique and quirky! The village has 33 homes. There’s a mix of working people and retirees, and residents range in age from 1 to 70-something. Lots of homes had signs explaining the benefits of float-home living, such as the ever-changing scenery, access to harbor events, climate and family-friendly community. Resident have formed an official community association that is active in charity fundraising, environmental projects and other community events. 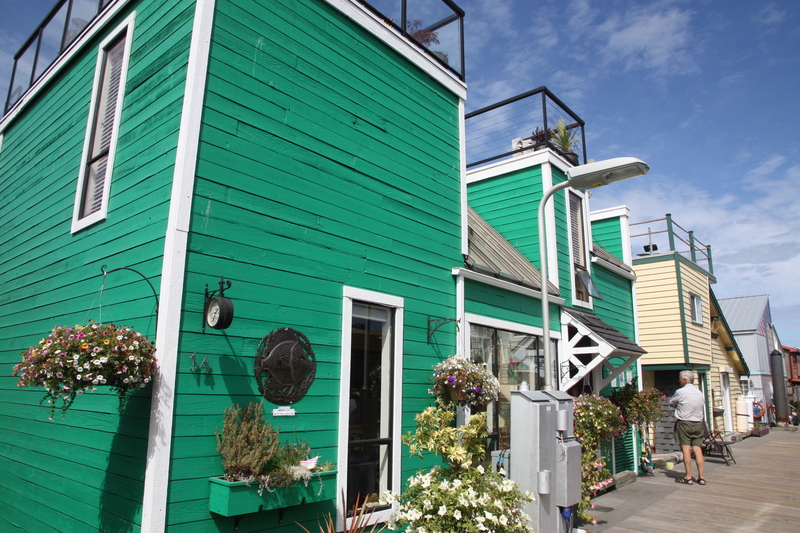 Several float homes were for sale with prices ranging from $189,000 to $349,000. People aren’t allowed to rent out their float home, but they can have roommates or a caretaker for up to six months if they are away. Maybe I can talk Poor John into returning one day as caretakers for a few months. He might be tempted. There’s a great ice cream shop and the popular Barb’s Place Fish ‘n Ships! He could even shop at the secondhand book stall. Check out the recipe I saw there for bear stew.